A man known for his geometric styling, bold distortions and loud symbolism, Picasso is by no means a small deal. 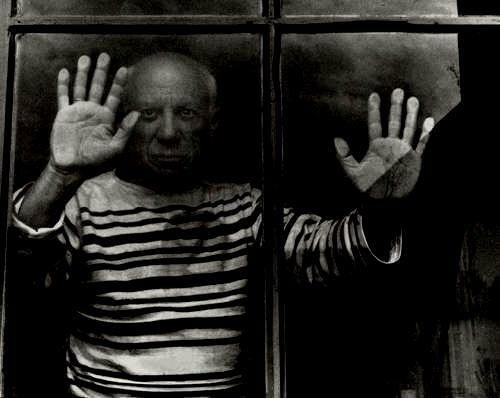 He is heralded as one of the greatest artists of the 20th century. But a new exhibition opening this month at the Art Gallery of NSW (AGNSW) provides us with a more serious-minded and politically committed Picasso. 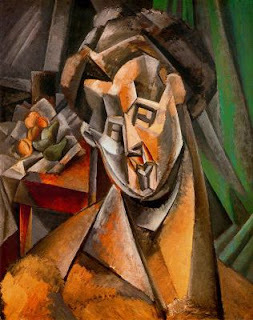 It showcases his personal collections from the Musée National Picasso in Paris. Director Anne Baldassari has put the exhibition together with Sydney in mind. Josephine Touma, AGNSW public programs coordinator, says that the exhibition will be among their biggest, and has been in negotiations for a number of years. “I think in the public imagination, Picasso is kind of out there as crux of all things creative, modernism, the 20th century, but people don’t necessarily have a really good knowledge of the vast array of styles that he worked in - the length of his career, the richness of his output,” she says. Dr Fay Brauer, art academic, believes that the exhibition is arriving during an intense revisionist scholarship of Picasso. She approves of the reworking of his cultural and political relevance and rejecting of many mythologies surrounding him. Dr Brauer is an associate professor at the College of Fine Arts in Sydney. She also works at the University of London, where she studied along with the renowned Courtauld Institute of Art. Six weeks ago, she engaged in a discussion with Baldassari on the politics of exhibiting Picasso. “I think we have to think of Picasso as an artist with endless energy and also on an internal quest to investigate at all times in all places. His radar was never turned off,” Dr Brauer says. Picasso’s nature as a prolific artist is demonstrated by the over 150 works travelling to Sydney. Baldassari curates by considering specific cultural histories. For Australia, she was concerned with the way Picasso engaged with indigenous art. Dr Brauer also discussed her selection of artworks that focus on the hedonistic beach culture of the Cote D’Azur in France, and the way in which that relates to Sydney. Baldassari’s Paris team installs the exhibition and she examines each hanging. Picasso was thought to have drawn upon African art and rituals upon creating this work. “I think educationally, because she’s tried to contextualise Picasso and bring out the Catalan aspects, as well as many other aspects- particularly his political ones, it will prove a highly educational exhibition,” Brauer says. 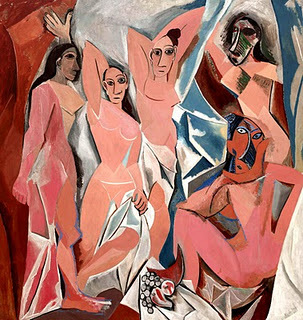 Picasso’s status as a cultural outsider separated him from Parisian bourgeois decadence. He is from Catalonia, a separate ethnic region in Spain, but travelled to Paris because it was the modernist art centre in the early 1900s. Life as a diasporic artist was hard but helped him devise a new approach to art. Dr Brauer says that the Parisians shunned Picasso at first as an artist etranger. “Before the First World War he was also very much derided, in fact denounced, for his Cubism - and cubism was seen to be a destructive art form,” she says. The exhibition exposes the relationship between Picasso’s Catalan background and his development of Cubism through archival material. Most original documentation, including various photographs, accompanies the art. Josephine from AGNSW says that it was a challenge to find space but photographs complement the exhibition. “It’s a great opportunity to see images of that artwork evolving over time and Picasso in a more informal context,” she says. “What’s often overlooked in Picasso is this remarkable sense of humour, and satire and parody, as well as a sense of the absurd,” Dr Brauer says. Paintings of Picasso's lover Fernande Olivier were inspired by his strong connection to the Catalan landscape and portrayed in his representation of women. The exhibition progresses chronologically into periods of Picasso’s career, including blue, rose and Cubist. The show is part of the Sydney International Art Series run by Events NSW, which will showcase an international exhibition each year. “Never before in Australia have we seen this volume and quality of Picasso’s work up at the one time and the breadth of his career,” Josephine says. Coming programs include free lectures, extended opening hours and various performances such as the major symposium. 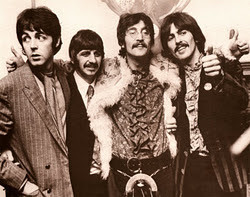 Timed ticketing will not restrict time spent in the show, but visitors will need to pre-book at www.ticketek.com.au. Picasso: Masterpieces from the Musée National Picasso, Paris is at the Art Gallery of NSW from November 12.